We have never had the level of access to information as we currently do in the modern world. And thankfully the importance of looking to evidence-based practice is an idea that is growing within the health & fitness industry. However, as positive as that may be, are we missing a piece of the puzzle? A piece that is related to some ideas put forth by psychiatrist George Engel about 40 years ago. 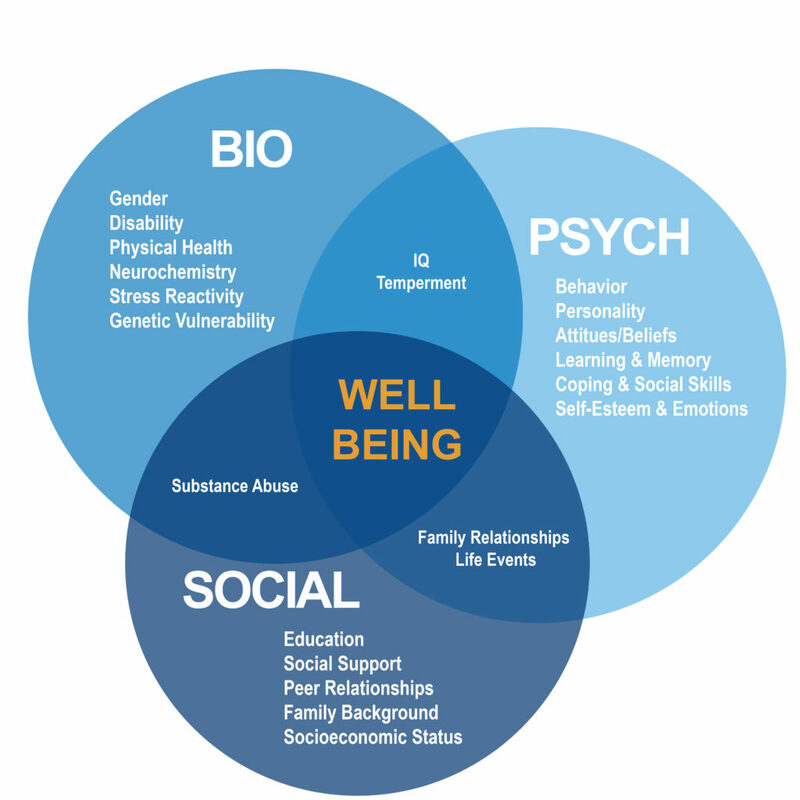 The Biopsychosocial Model was originally formulated by Engel in 1978 in the medical literature as an attempt to align the psychiatric and biomedical sciences. Unfortunately, this model still hasn’t come to see the light of day in many institutions. And what is worth asking is; have fitness professionals fallen prey to “a reductionist model of care”, as Engel put it? Which ironically doesn’t always reduce to mechanistic evidence. Imagine what it looks like to do the best job you could do as a practitioner, whatever your field, with every client/patient you have. That is, you were able to leave them better off than they were before they came to you, including; physically, emotionally, mentally and/or socially (without going beyond your scope of practice). That should be the goal, right? And despite what us “evidence-based folks” think about the claims of many holistic/alternative practitioners, I think the holistic/alternative treatment field actually has a lot going for it. Largely because people want to be looked after, as individuals. Science is great for objectivity, but the alternative therapies tend to benefit people in the form of the subjective. It’s absolutely clear that the subjective experience is absolutely key to a beneficial outcome. But where alternative therapies often fall down is that they are not grounded in objective “truth” in the form of non-biased evidence. And we need to ground the subjective experience in objective truth if we are going to ensure the protection of our clients and advancement of our field. The information is ever present, and I think we can do a much better job of tying it all together. When we take all those things into consideration and we are working with a client in practice, what are we left with? We are left with the client themselves, the individual and their situational factors. The Biopsychosocial Model is a framework that we can use to stay evidence-based but also keep one foot in the holistic realm. It can be easily depicted in a Venn Diagram where each element overlaps and interacts. On the biomedical side we have physiology and biology such as age, gender, race and structure. On the psychological side we have our philosophy, mood, beliefs, attitude. The social element involves our culture, our friend’s beliefs, religion, environment and family. You can probably see already that it is hard to separate some of these elements, and that is because they are part of our integrated state of being, sometimes they are positively integrated sometimes negatively so. An element of one circle will affect another in some way. “For the patient the ultimate criteria are psychosocial, even when the complaint is physical. Patients’ criteria have to do with how one feels, how one functions, how one relates; with the ability to love, to work, to struggle, to seek options and to make choices.” – Engel, 1978. Let’s consider some examples of such interactions that rear their head in the fitness industry. “LBP is complex.” Some people weren’t exactly sure and came up with a myriad of possible reasons. The vast majority (89%) indicated that their understanding of their lower back pain came from a health professional, and 24% said it came from the internet! So whether you are a accredited physiotherapist, or a sports massage therapist, personal trainer, or S&C coach, you’re in that boat of affecting where many people get their beliefs about pain and injury. We love talking science, biomechanics and advertising our knowledge about the human body and its intricacies. And with most professionals taking to social media to show their knowledge – we need to be careful with our messaging to ensure we are not doing more harm than good. The nocebo effect is very real. And if a client (or just someone following your online content) expects to feel pain or get injured based on something you have said, that can actually lead to pain/injury. Therapists, coaches and PT’s alike can really talk some ‘mumbo-jumbo’. But this language doesn’t go unnoticed; clients absorb this stuff because it is their body you are talking about, not just your subject matter. And the worst part is that most of it completely unnecessary, if not downright wrong. I know from own degree program that is it increasingly more difficult for S&C coaches to get actual S&C jobs, so we are taught the Functional Movement Screen (FMS) and encouraged to go down the rehab and correctives route. Taking some of the evidence-based conclusions listed at the start of this article, it would seem we are unleashing a group of ill-equipped pseudo-physios onto the scene. And believe me, there are less than a handful of people questioning it. There is a growing body of literature to show that semantics matter in practice (Barsky 2017, Brody 1980, Cuff & Littlewood 2018, Nickel et al 2017). It’s a matter of choosing your words wisely or just shutting up and listening to the individual. We need to be less reductionist in our claims and information. Let’s take another example, this time in relation to energy balance and weight loss. We know that inducing a calorie deficit works for weight loss. But adherence to the diet and the dynamic nature of energy balance are governed by the Biopsychosocial elements. Reducing calorie intake might impact the variety of food choices available to someone in the family home, which may lead to them eating a separate meal to the rest of the family, which directly impacts relatedness and the social norms that can have a negative psychological impact. That’s just the interaction between pyscho and social. Add in the biological impact of hunger and decreases in energy expenditure for another layer. All of this increases the liklihood of non-adherence to the nutrition and activity interventions being used to induce the calorie deficit. So in practice, it is clear that it is far more complex than a simple input/output calculation of calories in vs. calories out. We need to be aware of the whole story. We need to listen to the client. There are other ways educating people about evidence-based nutrition can also help the non-biological aspects of the biopsychosocial framework. Consider someone who currently believes that they must eat only organic food to be healthy. Evidence currently does not support this belief, and in most cases there are no nutritional differences between consuming organic and non-organic produce. Knowing this and passing on this information, you can help people save money (i.e. improved economic health) that they can in turn spend on more important things like occasions with family & friends (i.e. improved social health). Plus you have taught them something valuable that empowers them (i.e. improved mental health). Health and nutrition choices don’t happen in a vacuum. Consider the knock-on effects of your recommendations, not just the nutritional value of the food. How Can We Help People? From personal experience studying S&C (and previously PT and sports therapy) I unfortunately have not seen a move forward from reductionist thinking when it come to the human body. Which is concerning given that many of the theories in these fields are dubious at best and often lack quality evidence, for example; “trigger points”, Functional Movement Screens and effect of posture on pain. The greatest skill available to us as strength coaches is to improve someone’s physical ability. Yet we take people down a notch by putting them in a box of limited capacity. The same goes for telling people you are breaking down adhesions, scar tissue, fascia etc. (see this previous article). The language used to coerce someone into that box is meaningful too. If you have convinced someone that they are damaged in some way that is unfounded, well then you have also taken away from them some confidence, you have discouraged them and put a new idea in their head. Ideas are difficult things forget. During my internship I had the pleasure of training an older lady. She was very wary of her pain, which was existing long after any actual structural damage. I listened to her woes in the first session, I passed little comment but encouraged her. I knew, having read the research that pain lasting 3 months or more after structural healing was residual and most likely existed as psychological element due to increased sensitivity (Treede et al.,2015). We did some low load TRX for most of the first session and then I taught her to hip hinge at the end with a kettlebell. I knew I was on to a winner when that worked. The hip hinge is the first step towards a deadlift. So eventually, maybe a week or two later that’s what we did. I was honest with her and told her that sometimes pain exists long after damage, I told her that with technique as good as hers she would be strong and resilient again in no time. That was as far as client education went that day. Sure, enough that’s what happened. That physical quality of strength and resilience cannot be separated from the subjective feeling of strength and resilience, the feeling of wellbeing is bound to emanate. 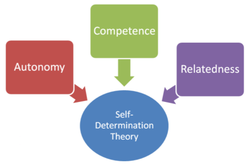 Look at the self-determination model – you get increased competency, relatedness and autonomy (Patrick & Williams, 2012). These are the things we should foster in people. Whether it be nutrition, exercise or rehab and pain. A prerequisite of improving someone’s health and performance is the correct physiological knowledge and if we can’t get that part up to date in the institutions, well what hope do we have against anyone peddling any pseudo-scientific scheme online? What differentiates us? The subjective element is also equally important. The evidence for general exercise and strength training is far more positive and assuring than reductionist, localised treatments. All the best treatment and recommendations seem to encourage doing more and being more rather than shrinking (Stilwell & Harman, 2017). General exercise and strength training may also bridge the gap between the biomedical/biomechanical and the psychosocial, if we can effectively communicate the benefits without the semantic ‘fluff’. We need never make ourselves sound clever or stray from the truth if we know our stuff and use it with the individual. As far as putting out content online is concerned, I think great care should be taken to prevent a nocebo effect. An input into the Biopsychosocial Model can result in a feedback loop. We want that to be beneficial. 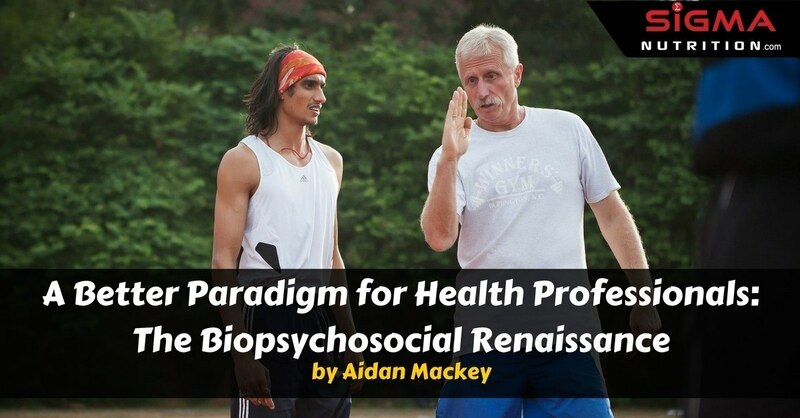 I think a renaissance of the Biopsychosocial Model is to be encouraged. If we can learn to listen more and talk less I think people would be inclined to tell you about what influences their current state of health. There is a lot more going on than what scratches the surface. We cannot separate structure from psychosocial. We may need to filter our vocabulary for structuralism, negativity, and most importantly – truth. People are really complex, really complex. The differences between people are far too many to tar everyone with the same brush. Peoples biology, structure, and physiology have enough differences alone without adding the psychosocial factors, but its the psychosocial factors that make it even more interesting. Let’s not shrink people into boxes that suit our isolated paradigm. It should be encouraging that we have so much more to give, so many more ways to help people and that we can break away from self-limiting theories about human ability. “Educators can continue to try to force medicine into the Procrustean Bed of the biomedical model, with all the divisiveness and fragmentation encouraged by its inherent reductionism and dualism, or they can consider a more comprehensive model that emphasizes psychosocial skills based on a systems approach, with its potential to enhance collaboration, communication and complementary among the various health professions and enhance the general level of competence of each”.